“Nothing’s been easy for Ashley,” according to her Mom, Tina. From her infancy, the now 14-year-old grappled with severe health issues that progressed to debilitating anxiety and obsessive compulsive disorder by the time she was 10. Multiple therapists and dozens of medications didn’t seem to ease increasingly out of control panic attacks that consumed not only Ashley, but her entire family. Four years ago, Ashley and Tina visited Hope Reins on a Saturday morning during Barn Chores. ‘For the first time in years, she smiled. I literally dropped to knees and told God she was in his hands now,’ says Tina. Today, Ashley plays ice hockey, lacrosse and hangs out at the ranch with 2 close girlfriends she met through Bloom, Hope Reins’ teen mentorship program. 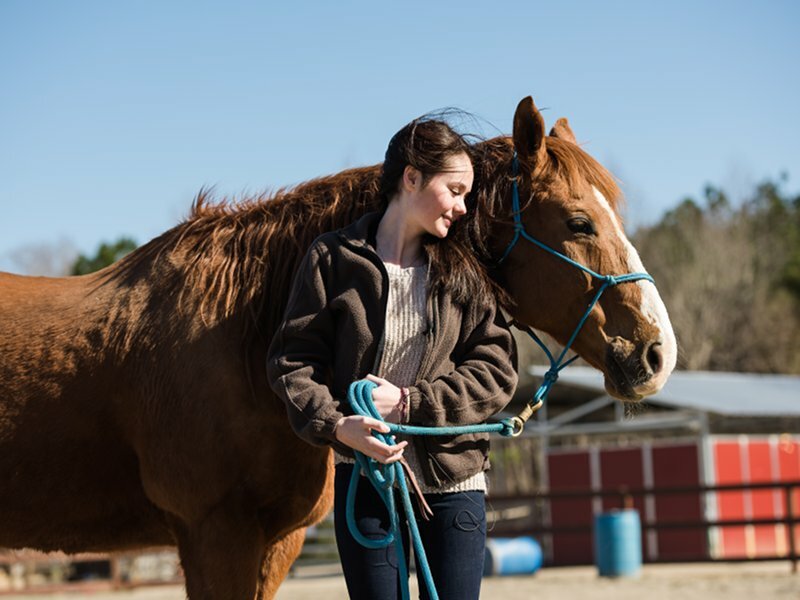 Tina credits the safe relationships Ashley developed with her favorite horse, Buddy, and session leader as the bridge to her healing.